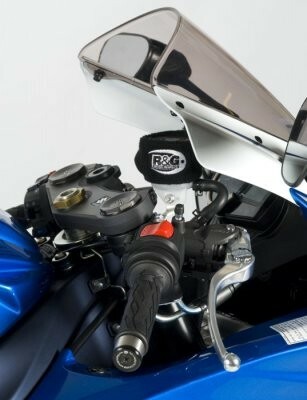 Produktinformationen "R&G Kupplung/Brems Reservoir Protektor"
Keep your clutch reservoir protected with our handy Clutch Reservoir Protektor (Booty)! This black elasticated Protektor features a white sewn R&G logo in two positions. It simply fits straight over your clutch reservoir keeping it well protected und cosy warm too! Weiterführende Links zu "R&G Kupplung/Brems Reservoir Protektor"
Kundenbewertungen für "R&G Kupplung/Brems Reservoir Protektor"